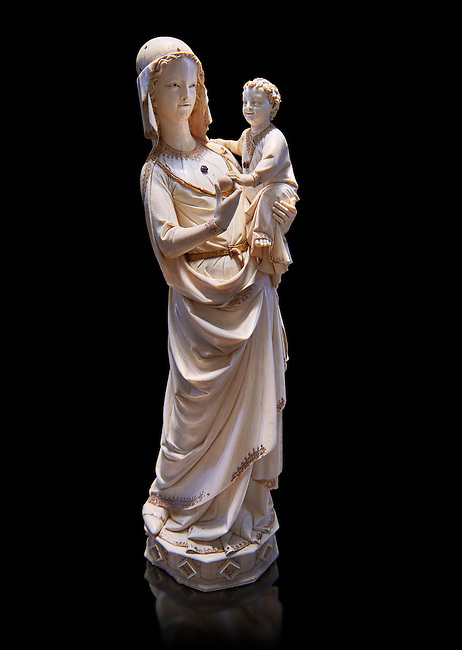 Medieval Gothic ivory statuette of the Virgin and Child with traces of polychrome, third quarter of 13th century before 1279 made in Paris. From the treasury of the Saint Chapelle, Paris. inv 67, The Louvre Museum, Paris.